Most ordinary field engineers will not need to design an ATU in the course of their normal duties. However, knowing the theory behind it can be very helpful when trouble shooting problems. Also, fewer and fewer people understand RF these days, especially when it comes to AM. Knowing a little bit can be an advantage. 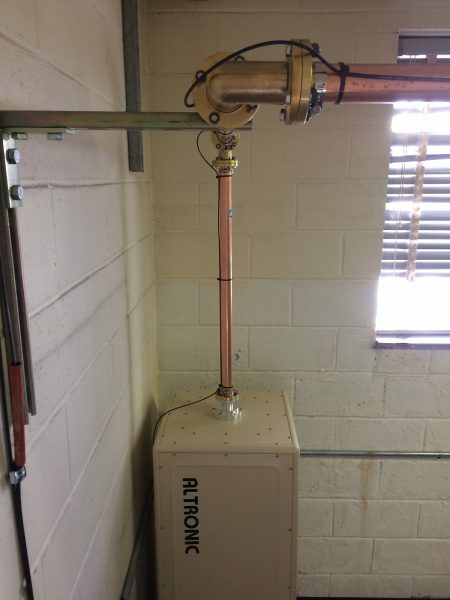 This was connected to a 202° tower. There were several complaints about seasonal shifts and narrow bandwidth. The VSWR meter would deflect slightly on high frequency audio peaks, always a bad sign. A little bit of back story is in order. WFAS signed on in 1930 using a four legged self supporting tower. This tower was used until about 1986, when it was replaced with a series excited, guyed tower. The ATU in use was initially designed for the replacement tower, which was likely had a good bit of capacitive reactance. I am speculating on that, as I cannot find the original paper work for the replacement tower project. At some point, somebody decided to ground the tower and put a skirt on it, likely to facilitate tower leasing. The skirt was installed, but the ATU was never properly reconfigured for the high inductive reactance from the skirted tower. 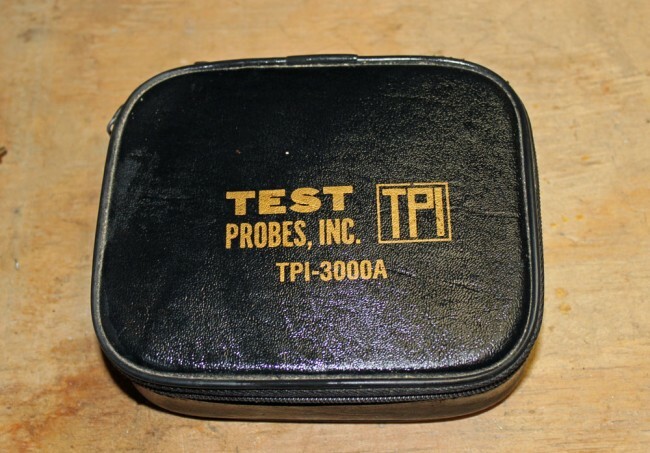 The truth is, the Collins 820-D2 or Gates BC-1G tube type transmitters probably didn’t care. They were probably like; bad load, meh, WHATEVER! Although the audio quality likely suffered. That all changed when the Broadcast Electronics AM1A was installed. 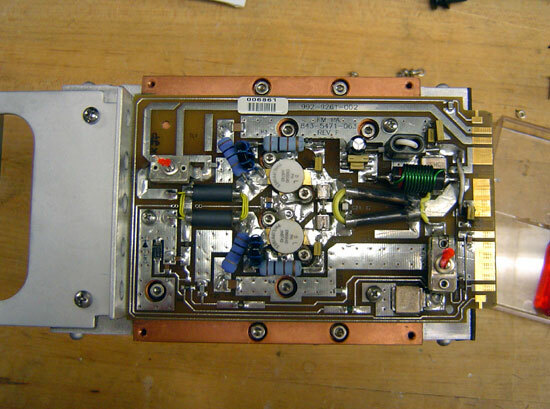 To fix the bad load problem, a BE 1 KW tuning unit was installed next to the transmitter. Technically, there are several problems with the above circuit, starting with the capacitor on the wrong side of the base current meter. 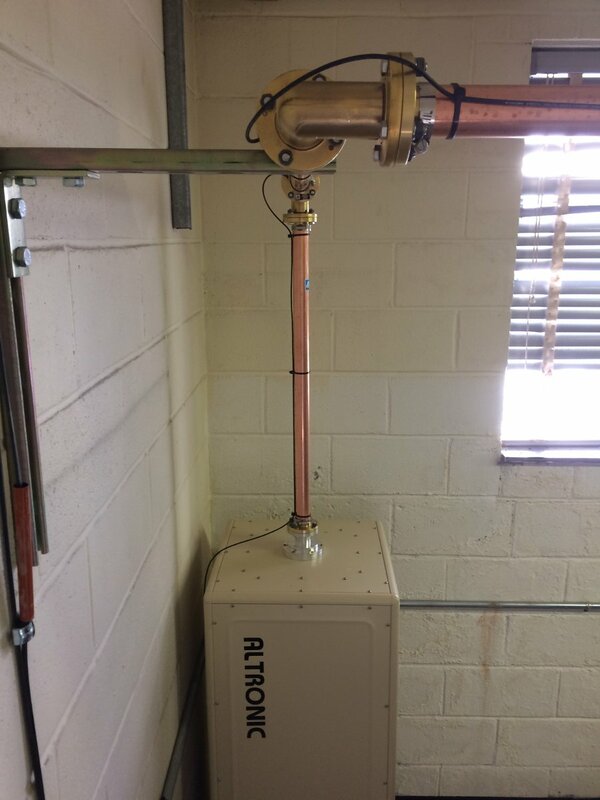 This capacitor was installed outside of the ATU between the tower and ATU output. Was the base current meter really measuring base current? I don’t know, maybe? 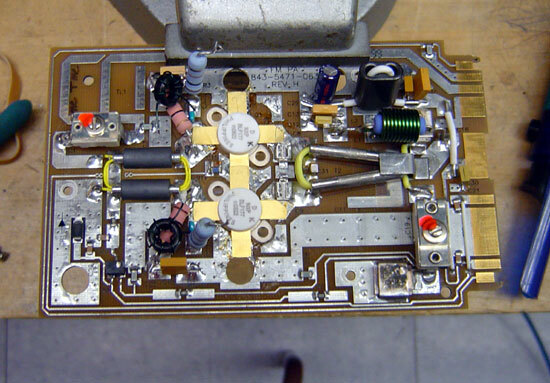 The shunt leg was lifted but both of the inductors of the former T network were left in the circuit. We reconnected the shunt leg and moved the capacitor inside the ATU and on the correct side of the base current meter. After several hours of tuning and fooling around with it, the ATU is still narrow banded, although now at least the input is 50Ω j0. I believe the current design has too much series inductance to be effective. 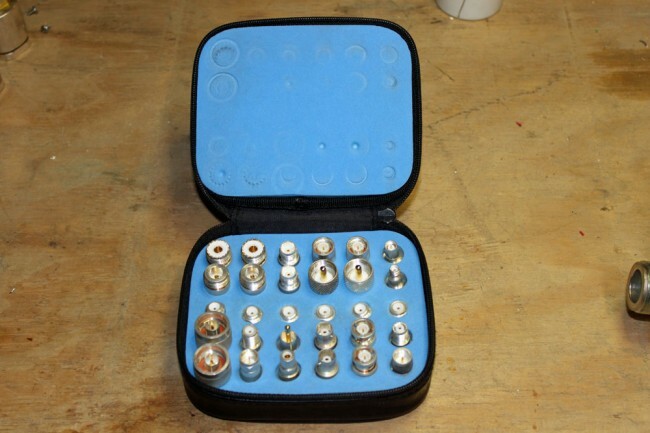 The amazing thing is, all of these components are available in the current ATU, they just needed to be rearranged. 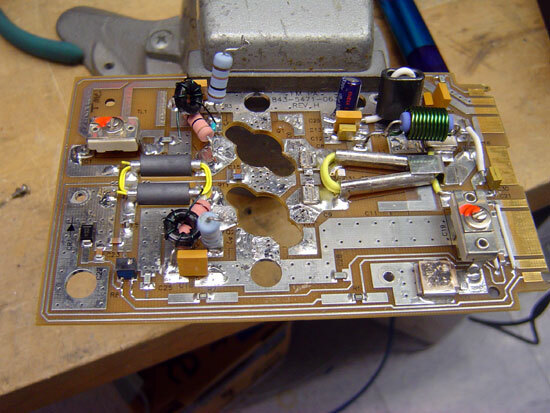 The exception is the vacuum variable capacitor, which I salvaged from an MW-5 transmitter many years ago. I donated that to the project, as I am tired of looking at it in my basement. The reason for the vacuum variable capacitor will become evident in a moment. The input capacitor will be slightly over value, which will require the inductor to tune out the excess capacitance. 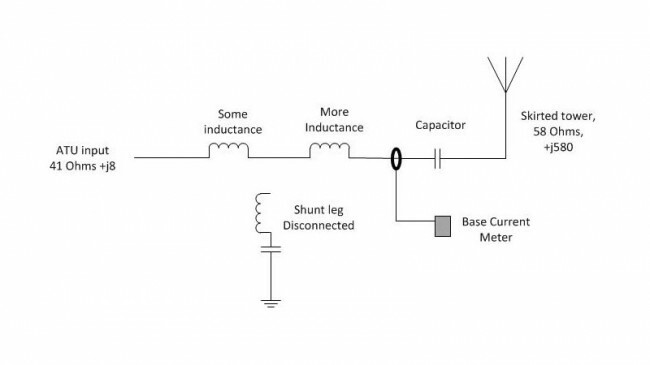 A good design rule is to use minimum inductance to adjust the value of a fixed capacitor, thus the capacitor should be not more than 130% of the required value. 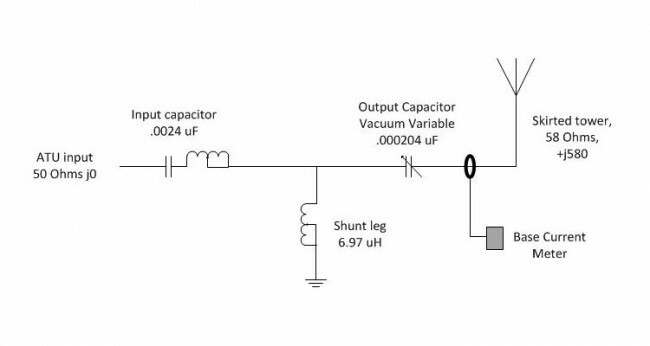 About the Vacuum variable output capacitor; in the existing ATU had a 0.0002 μF capacitor already. With a +90° phase shift, this capacitor is likely adequate for the job. The vacuum variable may be pressed into service if something other than a +90° phase shift is needed for optimum bandwidth. That will be the topic of my next post. 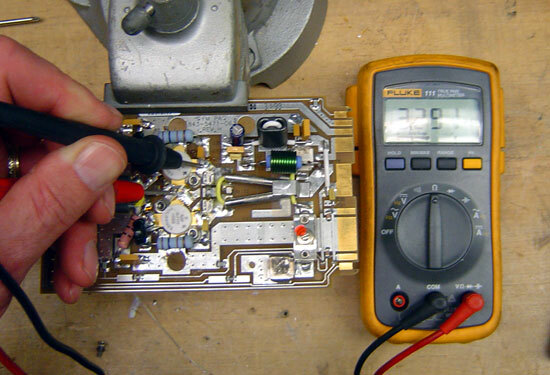 Final consideration is the current and voltage ratings of the component. As this is a re-build using existing components, chances are that they already meet the requirements. 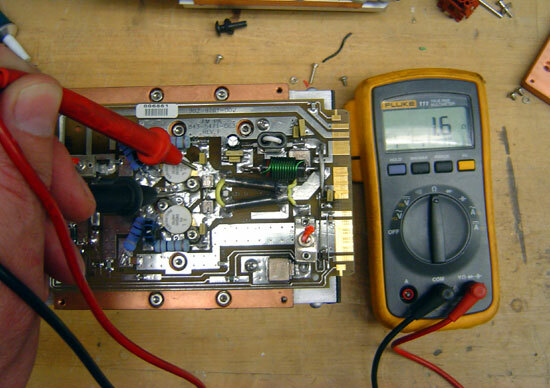 On a new build or for replacing parts, one must consider the carrier power and modulation as well as any asymmetrical component to the modulation index. For current and voltage each, the value is multiplied by 1.25 and then added to itself. 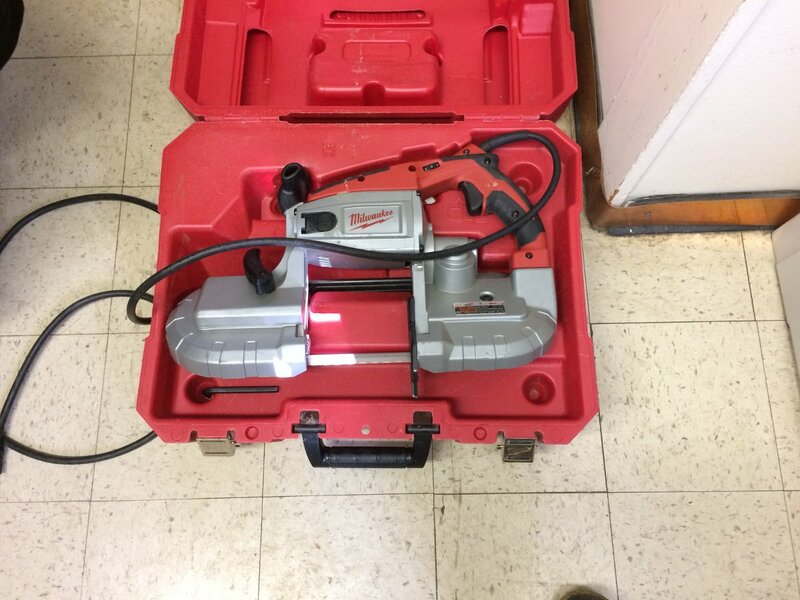 For a 1,000 watt carrier the input voltage on a 50 ohm line will be approximately 525 volts at 10 amps with 125% modulation. A good design calls for a safety factor of two, thus the minimum rating for component in this ATU should be 1050 volts at 20 amps, rounded up to the next standard rating. The capacitor on the output leg should be extra beefy to handle any lightning related surges. The vacuum variable output capacitor is rated for 15,000 volts, 42 amps. Adjusted for frequency, that changes to 46 amps. 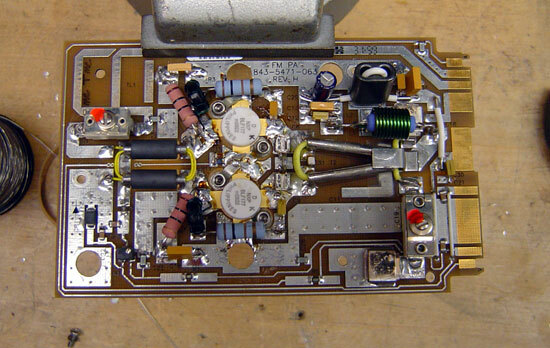 The calculated base current is 4.18 amps carrier, 9.41 amps peak modulation. Thus, the capacitor on hand is more than adequate for the application. I have been fooling around with Smith Charts lately. They look complicated, but are really pretty easy to understand and use, once you get around all those lines and numbers and stuff. 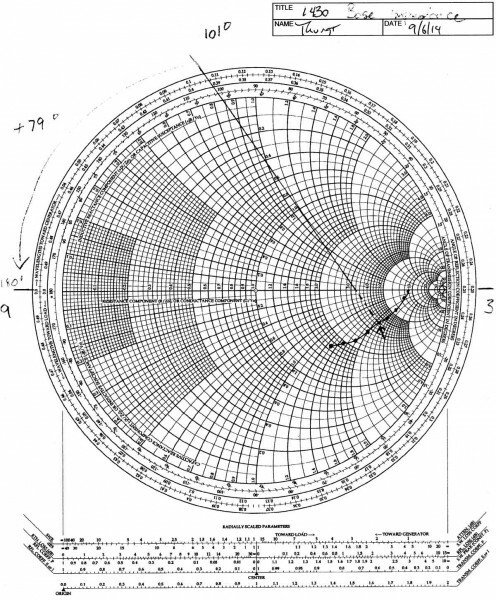 Smith charts offer a great way to visualize what is going on with a particular antenna or transmission line. 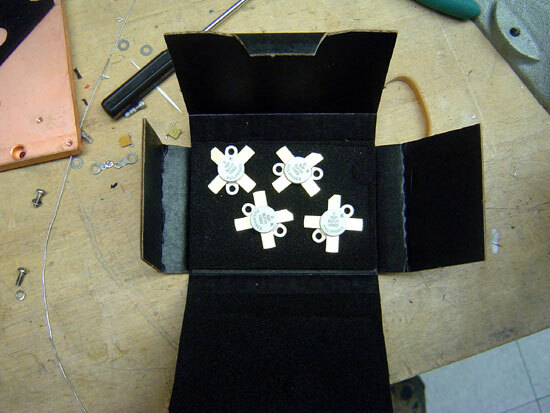 They can be very useful for AM antenna broadbanding. .pdf version available here: smith-chart. 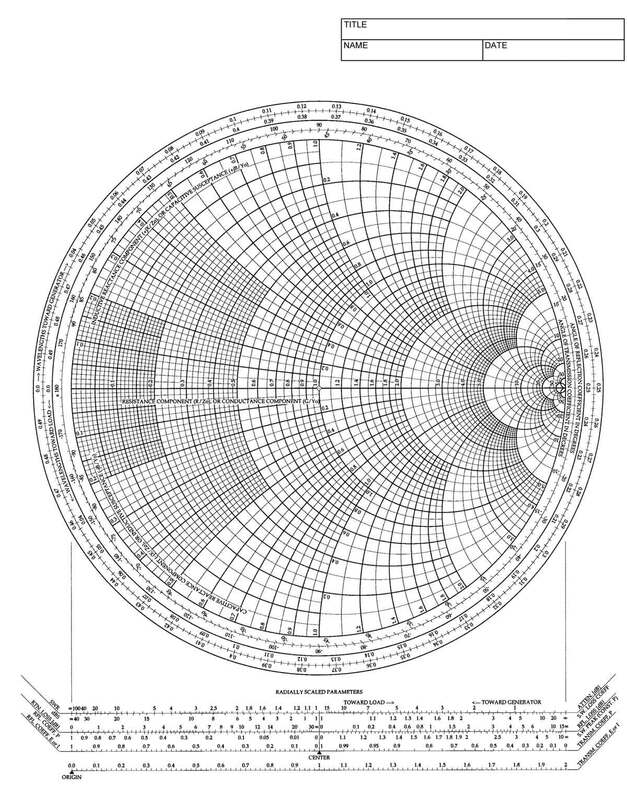 The first thing to understand about a Smith chart is normalization. Impedance and reactance are expressed as ratios of value units like VSWR. A ratio of 1:1 is a perfect match. 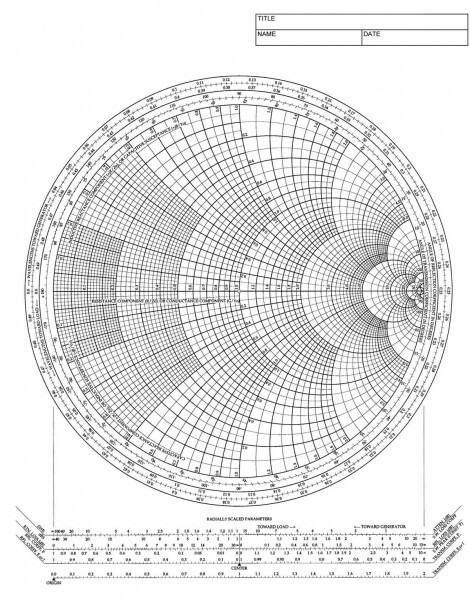 In the center of the Smith chart is point 1, which expresses a perfect match. 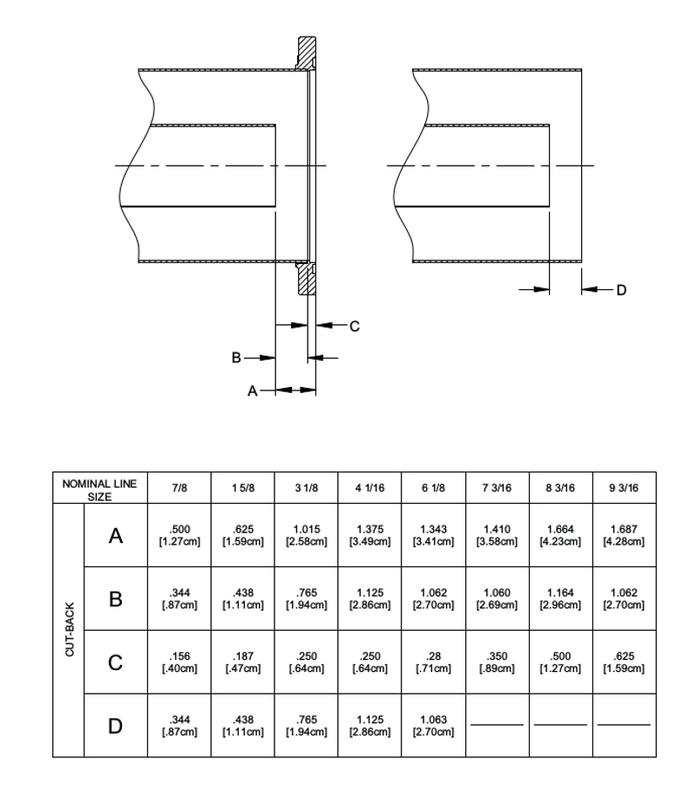 To normalize, the load resistance and reactance is divided by the input resistance. Thus, if the input resistance is 50 ohms and the load impedance is 50 ohms j0, then the normalized Smith chart point would be 50/50 or 1. 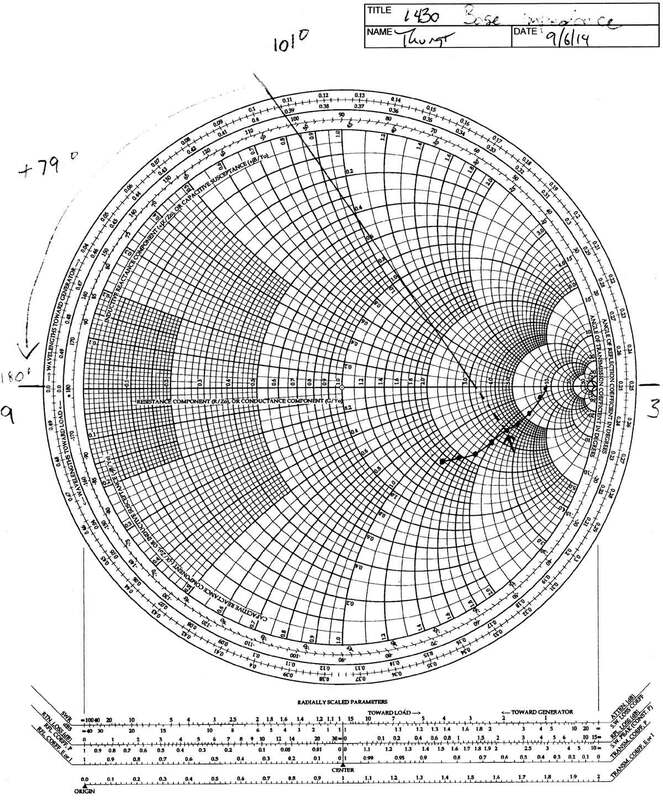 If the load impedance is 85 ohms and the reactance is +j60, then the normalized Smith chart point would be .58, 1.2. I touched on the black art of AM antenna broadbanding before. It is a complex topic, especially where directional antenna systems are concerned, as there are several potential bottle necks in a directional array. 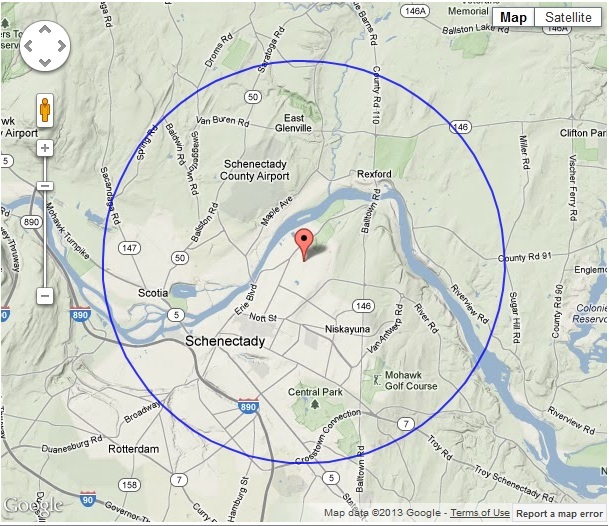 To explain this simply, I will use an example of a single tower non-directional antenna. Below is a chart of base impedance from a single tower AM antenna on 1430 KHz. The tower is skirted, 125.6 degrees tall. An AM tower that is expressed in electrical degrees is denoting wave length. A 1/4 wave tower (typical for AM) is 90 degrees tall. A 1/2 wave tower is 180 degrees tall. Thus this tower is slightly taller than 1/4 wave length. 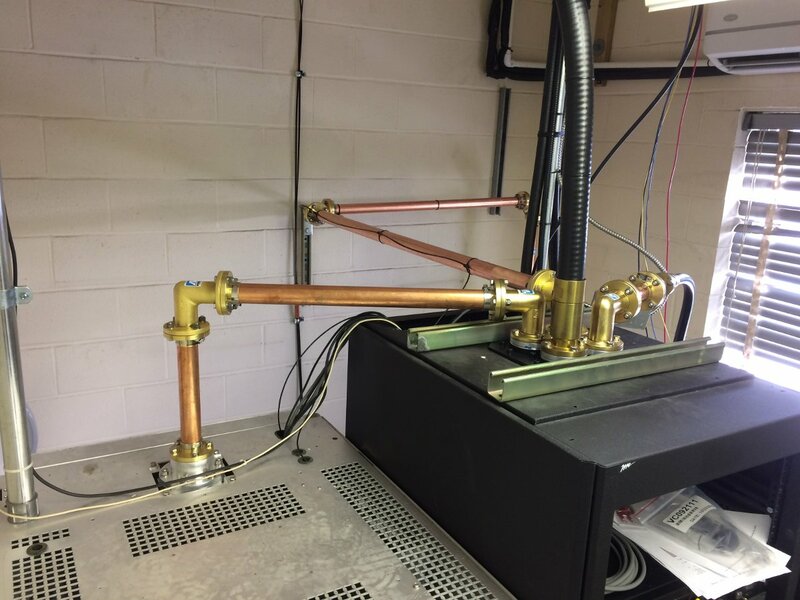 One of the first principles behind broadbanding an AM antenna is to distribute the sideband energy evenly and have symmetrical VSWR. 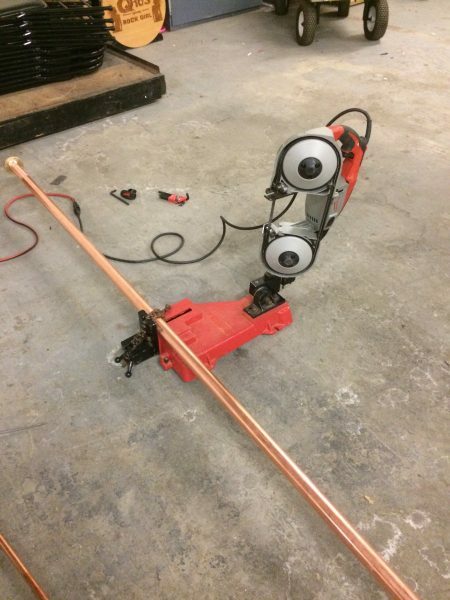 The antenna tuning unit will match the line impedance to the load impedance and cancel out the reactance. Having the proper phase advance or phase retard rotation will distribute the sideband energy symmetrically about the carrier. To determine phase rotation, the cusp of the plotted graph is rotated to face either the 3 o’clock or 9 o’clock position (0° or 180°). The cusp is where the direction of the line changes, which in this case is the carrier frequency, 1430 KHz. The above example, the line is fairly shallow, which is typical of a skirted tower. Thus, the best phase rotation to start with is +79°. This will likely be close, but will need to be tweaked a bit to find the optimum bandwidth. After looking at the plotted Smith chart, my first inclination would be to reduce the rotation, more tower +75° as a first step in tweaking. 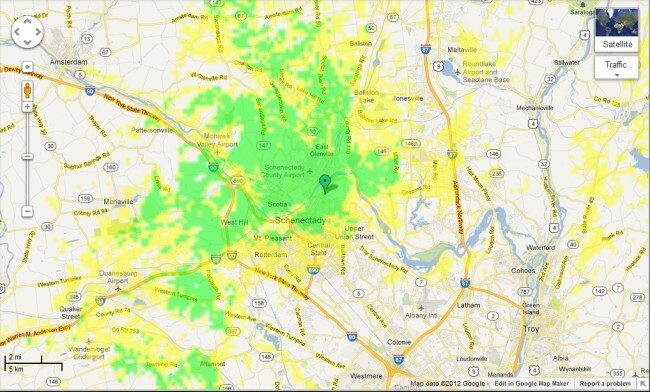 When working with AM systems, the bandwidth of the entire system needs to be examined. That means that final bandwidth observations will need to be made at the transmitter output terminal or in some cases, the input to the matching network. 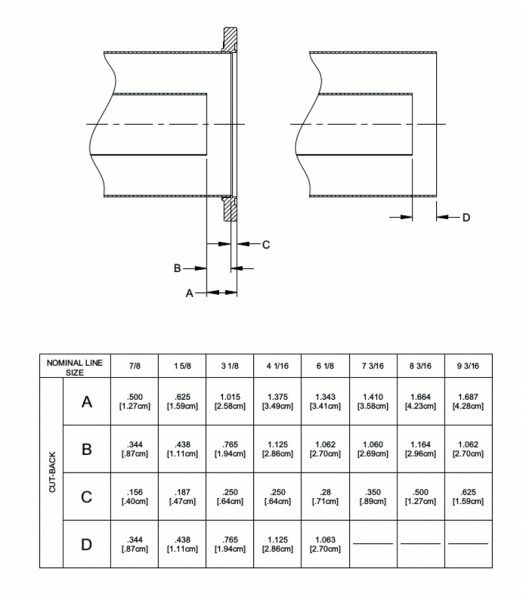 It varies on system design, but things like switches, contactors, mating connectors, ATU enclosures, etc can also add VSWR and asymmetry. Broadbanding even a simple one tower AM antenna can require quite a bit of time and some trial and error. I will touch on ATU design in the next post. 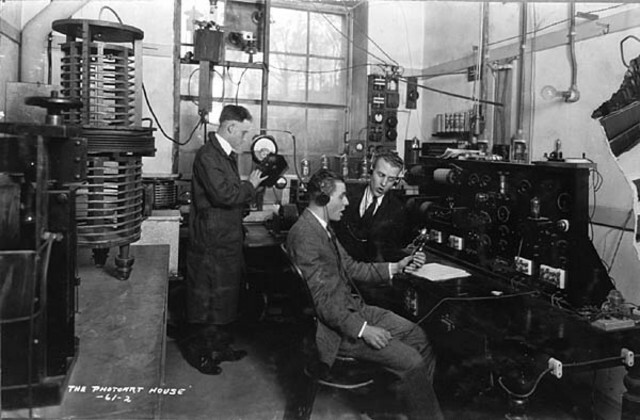 Here we have three gentlemen at work at an early radio station. It seems like a posed shot, nobody can study a meter that intently. They are sitting directly in front of the transmitter and it looks like the antenna tuning coils are behind the operating position. Notice the open wire and transmission line, presumably all under power when this picture was taken. There seems to be no concern about RF or electrical safety, I suppose it was trial and error back then, with a heavy price paid for error. Meter boy should be careful not to back up too far, if he does, he’ll get a little behind in his work. We’ve been a little busy this last week, I’ll catch up on the blogging this weekend, there are many things to tell.